Those little birds looks so cute clipped to the heart box. What a darling posting! Girl, you are something else. I used to decorate inside and out for holidays. USED TO. I'm too lazy now, but love that you still do. That pitcher/jug was a steal. Donna @ gather. So cute, I love that birds clipped to the heart box. 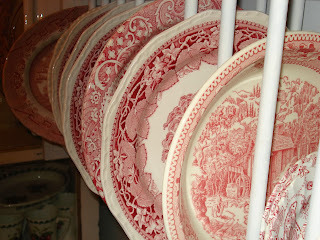 I love the red transferware, I will do something with it too. I can't believe some of you are already thinking of Valentine's, it just hasn't occurred to me, lol.. 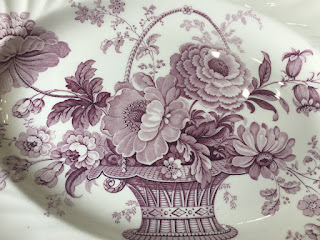 Your transferware sets the mood for Valentines. I would of snatched up that pitcher too! Great finds. We got nothing as far as weather her in St Louis...just passed by and went to N and S of us! 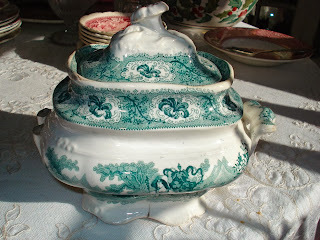 What fun to see your decorative pieces. How clever you are! Valentine's Day surely is a nice break between Christmas and Easter. I love the little birdies and that gorgeous pitcher! Gosh, you remind me that I need to get in gear for Valentine's Day! Would you believe that I haven't taken my little table-top Christmas tree down yet?? You know the other thing I love on your post? The music paper and glittery stars on the heading. They are so pretty. 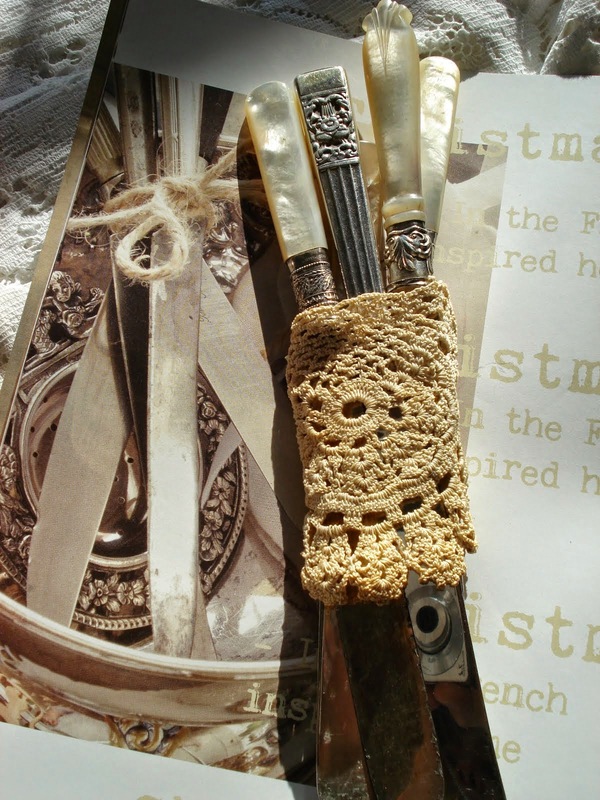 I have to remember to make some for next year's holiday decor. Sounds like you had fun thrifting. I haven't been much this Winter but come warm weather I'll be on the road! Love seeing your valentine pretties, I love that purple heart!! Stay off those slick dangerous roads ok, be safe. 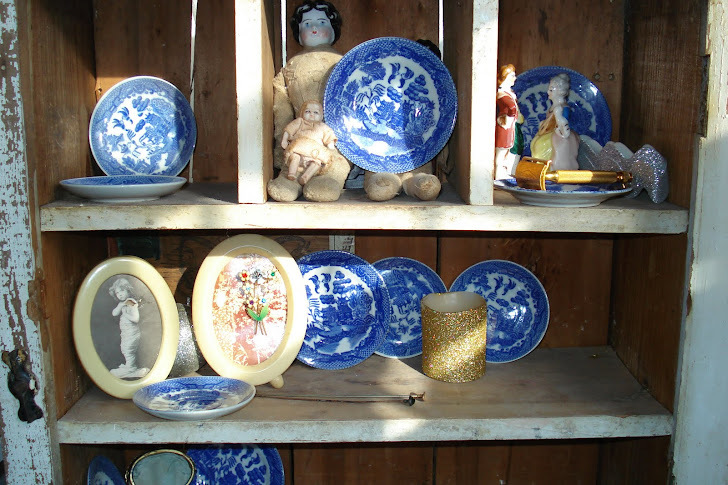 Your gorgeous china caught my eye(as ever...)!I also love those sweet angels and the header is really pretty!Hugs! 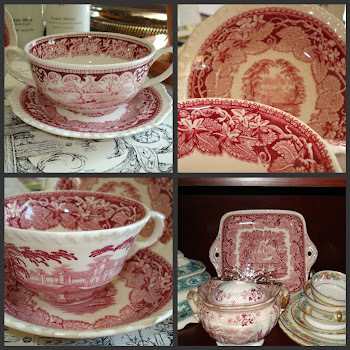 Love your collection of red transferware. 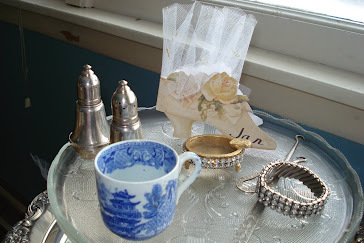 I'm a fan and received a few pretty antique pieces for Christmas. I haven't had a chance to show them yet but are beautiful. I'll be sharing soon. It's been hard nursing to fur babies back to good eye health . 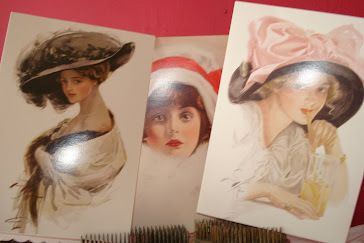 I really enjoy all of your treasures, here and on Instagram. Thanks so much for stopping by Buttercupland. Hi Janice! 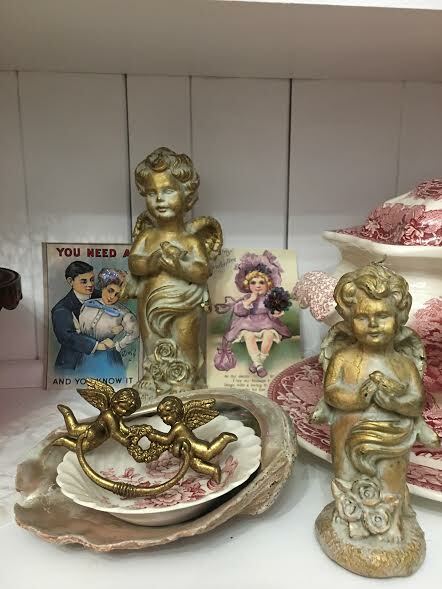 You already have lots of fun things for Valentines day! I love Wendy Addison too. Would love to visit her shop. I think you are still in the deep cold! But warming soon. Enjoy that! You found some wonderful Treasures! I love the sweet pink feather tree! You always have the most beautiful decorations! 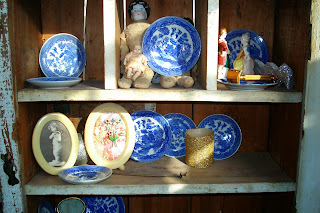 I love the way you display your treasures! Happy Valentine's day! Lovely decorations. I love the beaded purple heart.